Triple Mint Townhouse Condominium - one flight up. Great as an investment property or primary residence, modern sophistication meets prewar charm in this triple mint condominium townhouse triplex. 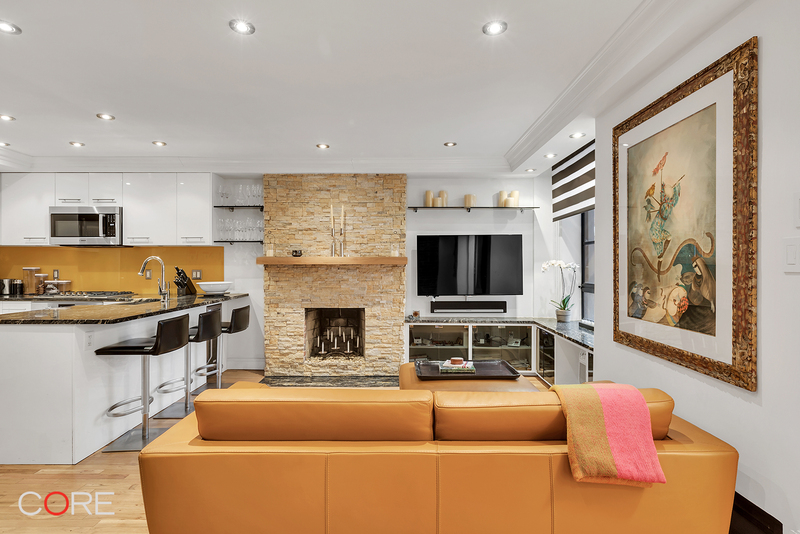 Conveniently located between Central Park West and Columbus Avenue, this wonderful home offers two bedrooms, two bathrooms, total privacy and a coveted 130 square foot private landscaped terrace. The tastefully renovated, open plan cook's kitchen is outfitted with gorgeous granite countertops and all Bosch appliances - refrigerator, range, microwave and dishwasher. A wine fridge and garbage disposal complete the picture. The generously proportioned living and dining areas allow for entertainment and relaxation, and the decorative natural stone fireplace adds a warm touch. Downstairs you will find the master bedroom. In it, exposed brick and industrial piping continue the sophisticated theme while the western and northern windows bring refreshing cross ventilation and a view of the garden below. 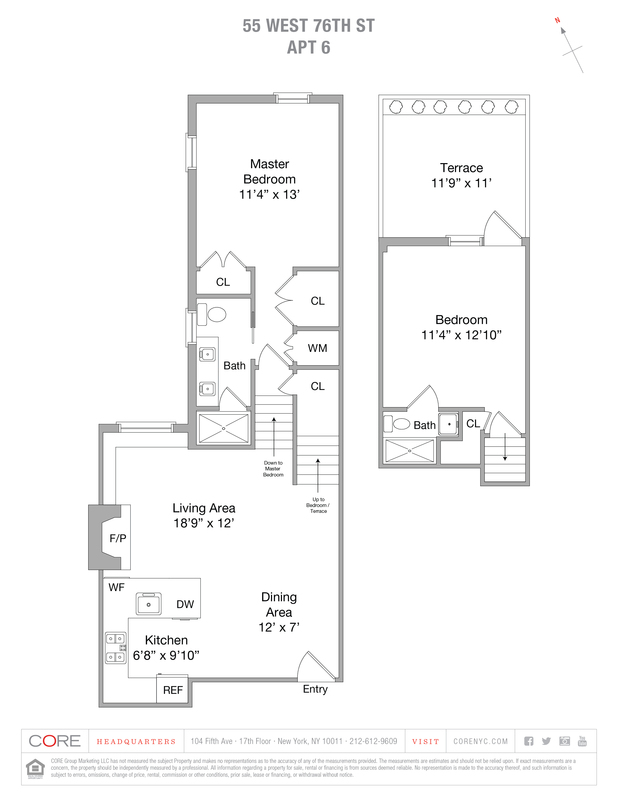 There are also large closets and a convenient washer/dryer combination unit. The windowed, en-suite master bathroom is updated with an onyx tile shower, a custom two-sink vanity and a Toto remote control Washlet toilet. Upstairs, the second bedroom includes an Italian Murphy bed, en-suite bath and large closet. From the second bedroom, the custom metal casement door leads to a private terrace constructed of durable "Ipe" wood, beautifully accented with slate floors and large planter with automatic irrigation. Other features include new custom windows, custom window treatments and oak hardwood floors and only one flight up from the lobby.